The Swamp Witches offers a heavy duty construction and deep lugs. Similar weight and lug depth to a Gator. A heavy duty option at lightweight price. The D932 has proven itself in New Zealand since 2006. Hard wearing on the road and races yet aggressive with deep tapered lugs for outstanding soft terrain traction. 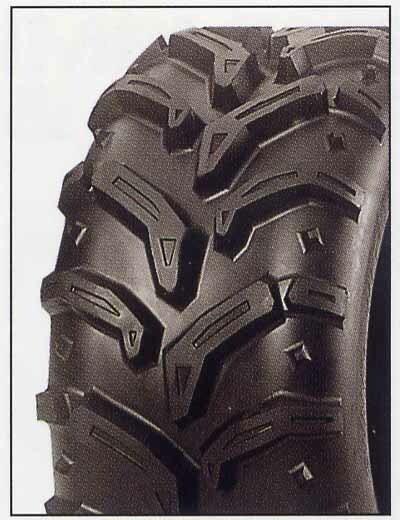 Heavy duty sidewalls mean excellent side load capability. Ideal for big Quads and side by sides. New sizes to suit Kawasaki mules.